Best-selling, award-winning author Kim Vogel Sawyer is a wife, mother, grandmother, author, speaker, singer of songs and lover of chocolate... but most importantly, she's a born-again child of the King! A former elementary school teacher, Kim closed her classroom door in 2005 to follow God's call on her heart to write and speak. 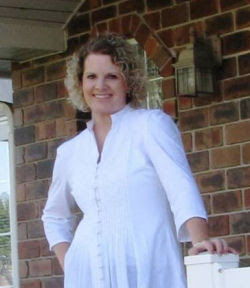 Now blessed with multiple writing contracts with Bethany House, Barbour, and Zondervan Publishing, Kim enjoys sharing her journey to publication as well as the miraculous story of her healing from a life-long burden of pain and shame. Kim's gentle yet forthright testimony lends credence to the promise of Ps. 117:2--"Great is his love toward us, and the faithfulness of the Lord endures forever." Will their Mennonite faith be shaken or strengthened by the journey to a new land? With their eldest son nearly to the age when he will be drafted into military service, Reinhardt and Lillian Vogt decide to immigrate to America, the land of liberty, with their three sons and Reinhardt's adopted brother, Eli. But when tragedy strikes during the voyage, Lillian and Eli are forced into an agreement neither desires. 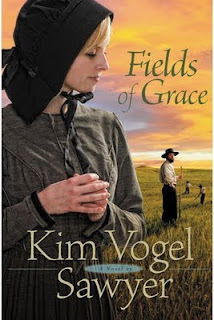 Determined to fulfill his obligation to Reinhardt, Eli plans to see Lillian and her sons safely settled on their Kansas homestead--and he's equally determined that the boys will be reared in the Mennonite faith. What he doesn't expect is his growing affection for Lillian--and the deep desire to be part of a family.